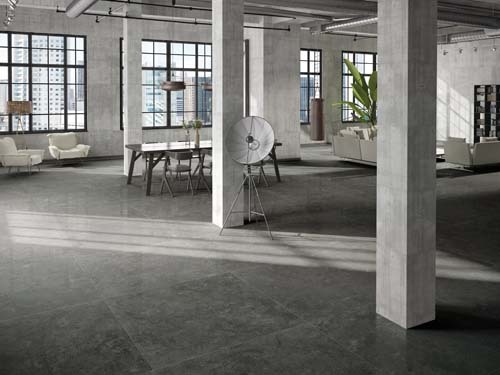 Glam is inspired by natural stones with a more compact and elegant appearance, perfect construction materials with a timeless charm dictated by the richness of the details of their surfaces and the sober elegance of their colours. With a catalogue full of modular formats, available with natural and lapped surfaces, Glam meets the most diverse requirements for residential, public and commercial spaces. 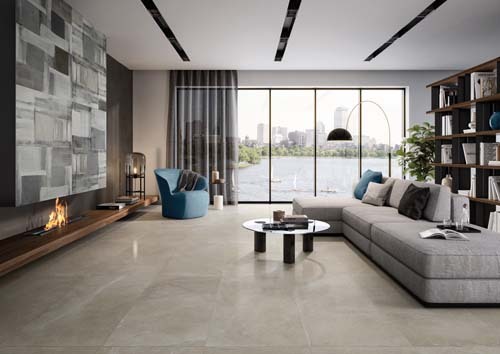 Glam colours include light and bright tones such as Bianco and Beige, versatile and eye-catching nuances such as Grigio and Tortora, and a decisive Antracite, to be freely combined in the design of both interior and exterior spaces. With the marked recovery of different materials, the contemporary mood gives space to style and creativity. The brushstrokes of decor that seem random in the background of shaded hues make an impresion. This is one of the most comprehensive, rich and versatile offers to be presented by Naxos in the last few years. A wide variety of solutions, articles, colours and formats. The feature that makes Shiny so unique is its expressive quality, achieved through the use of special metallised glazes and enhanced by the structure of the surfaces and by the collection’s bright luminous colours.